Starting from the mid-1980s, Nigeria’s external indebtedness ratios stayed at critical levels, surpassing the thresholds for sustainability. Nigeria approached the Paris Club for the rescheduling of its debts three times 1986, 1989 and 1991 without any stock reduction. Rather, the debt stock continued to grow with the capitalization of arrears. Between 1992 and 1999, there was a virtual breaking off of negotiations and unilateral curtailment of debt service payments by the then Nigerian military government. Following the restoration of democratic governance in 1999 and the establishment of the Debt Management Office (DMO) in 2000, negotiations were resumed in what led to the last rescheduling agreement with the Paris Club in the December of that year. The rescheduling agreement was treated in Houston Terms, which provided for the rescheduling of Paris Club debt totalling about US$21billion over 18-20 years. The agreement still left Nigeria’s debt sustainability at precarious levels, since there were only flows re-profiling without any stock reduction. By December 2004, Nigeria owed about US$36billion to external creditors, with US$30.8 billion (about 85.82%) being owed to the Paris Club. It was evident that for Nigeria’s debt to become sustainable, it had to secure substantial debt relief from the Paris Club. In 2005, Nigeria obtained a 60% debt write-off of its Paris Club debt. The total relief package amounted to US$18billion write–off, with Nigeria expected to pay off the balance of approximately US$12.4billion to the creditors over a period of six months to completely exit from debt. By April, 2006 with the payment of the required balance, Nigeria exited the Paris Club debts. This was followed by the redemption of London Club debt (Par Bonds and Promissory Notes) and part of associated Oil Warrants. The external debt thereafter dropped to a sustainable level of US$3.5billion. Usually, to reach a deal with the Paris Club, a country was required to have a formal agreement with the IMF. Nigeria did not, but signed up to a new framework with the IMF known as a Policy Support Instrument (PSI). This was essentially an arrangement for IMF to officially endorse the National Economic Empowerment and Development Strategy (NEEDS), Nigeria’s home-grown locally driven economic reform program. 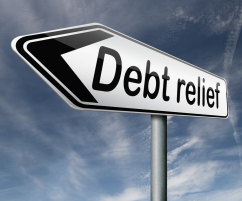 The reforms have proved to be effective before and after the debt relief. Following the achievement of relief from external debt burden, the DMO had to redirect efforts towards the real job of public debt management, which is to mobilize resources to close the financing gap, towards the generation of growth and development. In graphic terms, while initiatives taken to obtain debt relief and achieve debt sustainability could be likened to filling a hole, which is essentially a negative function, using debt resources to fuel growth and development is like building a mountain which is a positive function. 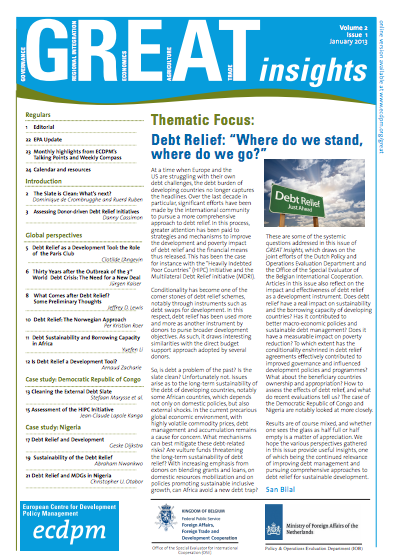 First, was the commencement of Debt Sustainability Analysis (DSA) by the DMO in 2005 using the WB/IMF’s Debt Sustainability Framework-Low Income Countries (DSF-LIC) Template in conjunction with the Central Bank of Nigeria, National Planning Commission, National Bureau of Statistics and the Budget Office of the Federation. The WB/IMF provided initial technical support up to 2007. The DMO conducts the DSA every year with the local stakeholders. Secondly, in order to be effectively guided in its new focus, the DMO formulated a five-year National Debt Management Framework (NDMF, 2008–2012). The broad strategy is “to ensure that National and Sub-national Governments subscribe to the principles of prudent and sustainable borrowing, and effective utilization of resources, and to create a robust domestic debt market supportive of private sector development.” The NDMF contains guidelines on external and domestic borrowings and initiatives for the development of debt management institutions in the country. Thirdly, is the commencement of workshop on National Medium Term Debt Management Strategy (MTDS, 2012-2015) in 2012 structured along the WB/IMF Analytical Toolkit and guidance note for developing the MTDS for a medium performer economy. The purpose is to operationalize the debt management objective of meeting government financing needs at lowest cost consistent with prudent degree of risk. A special initiative in developing the domestic debt market in particular and public debt management in general, is one that recognizes that Nigeria is a country of Fiscal Federalism. In this regard, the DMO is implementing a programme of assisting each State of the Federation have its own debt management institution, called Debt Management Department (DMD). This is a case study of cooperation in a strong federalist country, as all States have subscribed to the programme. The Template developed by the DMO along with the States is at different stages of implementation in all the States of the Federation. The key objectives include: coordination and regulation of borrowing; maintaining macroeconomic stability by regulating fiscal expansion; entrenching fiscal responsibility; and, facilitating the development of reliable debt data database for States. The major area of activities and achievements so far include: strengthening of legal framework for public debt management; capacity building for sub-national debt managers; and, reconstruction of domestic debt data of States. As at end-September 2012, the domestic debt data reconstruction (DDR) which is part of the final stages of the development of public debt management institutions in States, had been completed in all the States. The goal is that by the end of 2012, every State in the Federation will have a functional DMD. One of the implicit, but unmistakable, lessons from the crisis of Nigeria’s unsustainable external debt was the need to have a reliable domestic debt market as a viable alternative source of borrowing by the government. This would among other benefits protect the country from volatilities inherent in foreign borrowing. In line with this, the sovereign bond issuance, which had been discontinued for about 18 years, was resuscitated in 2003. The progress made in the pursuit of this objective could be observed in the structural transformations of the debt market (1) . First is the introduction, between 2003 and 2008, of long dated debt instruments, which span from 3 years to 20 years. Before the resuscitation of the sovereign bond market, the government borrowing from the domestic market was mainly in the form of 91-day Nigerian Treasury Bills (NTBs). This meant that inappropriately, short-term liabilities were used to fund economic and social projects, which were essentially long-term assets. Secondly, the overall success of the approach of raising money for government through the issuance of bonds is shown by the high level of oversubscription which stood between 64% and 150% in response to the offers made between 2005 and 2011. In this regard, the objective of developing an alternative funding source for government was also achieved. The third arm of the structural transformation, is that whereas 91-day NTBs accounted for 63% of the domestic public debt portfolio in 2002, and active long-dated Federal Government of Nigeria (FGN) bonds were nil, by 2009 and 2011, the share of NTBs had dropped to about 25% and 31%, while FGN Bonds accounted for about 61% and 63%, respectively. This meant a more optimal asset-liability matching. Fourthly, there was also a transformation in the holding structure. In 2002, the Central Bank of Nigeria (CBN) held about 46% of the total domestic debt outstanding, while the non-bank public held only about 15%. By 2009 and 2011, the CBN holding had dropped to 10% and 6%, respectively, while the holding of the banks and discount houses had risen to about 40% and 67%, respectively. This shift has two major salutary implications: one, it means that monetary financing of fiscal deficit has been controlled and that the CBN, which is the monetary authority, has been insulated from the conflict of doubling as a fiscal agent; two, it means that the investor base for sovereign debt instruments had been diversified and, indeed, that there has been a democratization of market participation. Another flank of the transformation is the introduction and progression of the secondary market for FGN bonds, where the Primary Dealer Market Makers (PDMMs), which are licensed by the DMO to deal on FGN Bonds. 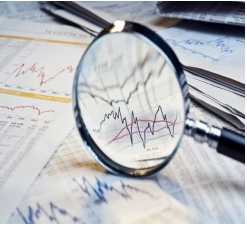 The effective functioning of the secondary market is a major factor that has encouraged the emergence of a sustainable long-tenured bond market of up to 20 years. Market capitalization of outstanding FGN Bonds stood at 3,192.30 trillion Naira (N) as at end-June 2012. The recent inclusion of the FGN Bonds in the globally traded JP Morgan’s Government Bond Index-Emerging Markets (GBI-EM) is an independent external recognition that the transformation of the domestic bond market has been executed in a manner that has enhanced the quality and strength of the domestic financial markets. 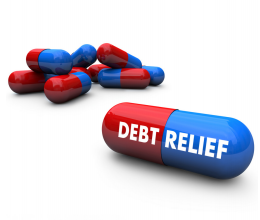 The debt relief had some positive impact on macroeconomic stability and growth. It enabled the government to plough the savings of over US$1 billion annually from external debt servicing into the development of infrastructure in critical sectors of the economy. The enhanced creditworthiness of the country also resulted into increased inflow of foreign direct investment. Overall, real GDP real growth rate averaged 7.6% between 2003 and 2011 with a low growth volatility of about 1.9% making Nigeria among the top growth emerging market economies during the period. The link between the transformation of the domestic debt market and economic growth could also be inferred from the portion of the deficit in the annual budgets, which was funded domestically. Deficit financing from the domestic debt market grew from N27billion in 2005, to as much as N852 billion in 2011. In addition to general budget support, proceeds of domestic bond issuance were also used to fund special government stimulus spending initiatives between 2008 and 2010. It would be recalled that due to the global financial crisis which caused dramatic shrinkage of economic activities, many governments, prominently in the advanced economies adopted countercyclical, interventionist spending. The above coupled with the need to fund the infrastructure deficit in the country contributed to the growth of domestic debt portfolio over the period. As at end-December 2011, Nigeria’s Total Public Debt/GDP ratio was about 20.12% as against the peer group (medium performers in the WB/IMF Country Policy and Institutional Assessment (CPIA) Framework) threshold of 40%. The Debt Sustainability Assessment (DSA) conducted in May 2012 showed that the Present Value (PV) of Debt/Export, PV of Debt/Revenue, Debt Service/Export and Debt Service/Revenue ratios under a pessimistic country-specific scenario stood at 6.0%, 32.1%, 0.3% and 1.5% as against the thresholds of 150%, 250%, 20% and 30%, respectively. Hence the country is operating within acceptable limits. Public debt management is an integral part of modern, money-based economies. In the Nigerian case, professional public debt management came about as a salutary response to external debt overhang. But beyond solving the legacy problem of external debt overhang, Nigeria’s DMO has organized itself as a platform for growth, development and poverty reduction. In view of this posture, the country’s public debt management will continue to be proactive, creative and dynamic so as to appropriately respond to new realities that emerge on the country’s transformation trajectory, whilst ensuring continued debt sustainability. Abraham Nwankwo is Director-General, Debt Management Office, Abuja, Nigeria. 1. For details of the analysis below, please refer to the full slide presentation submitted to the organizers of the Debt Relief Conference.